New Product Development -Custom Architectural Steel? If you’ve ever come across a beautiful metal cut gate, a privacy screen, metal wall art, or CortenTM siding in an architectural magazine or online, you may have thought briefly of wanting to incorporate something similar into your own home. Likely, your consideration of architectural metal stopped there. 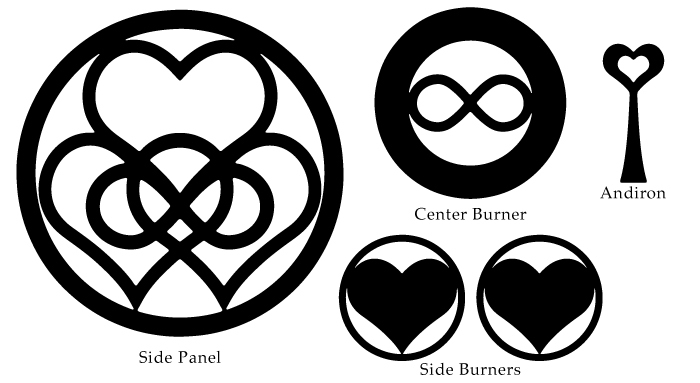 The story of Navajo & Survival Hybrid stoves had a fascinating start with the design and development of a clean burning, small, dual fuel stove for use on the Navajo Nation at the Four Corners of New Mexico, Arizona, Colorado & Utah. In 2016, the US EPA approached Woodstock Soapstone Co., to ask if we would be interested in designing a clean burning stove capable of burning both wood and coal. The design would be used on the Navajo Nation Reservation, as part of a consent decree with Arizona Public Service & Southern California Edison for violations to the clean air act. The settlement had designated funds for a stove change-out and weatherization program near the Four Corners region. This is a region where indoor and outdoor air quality is often quite poor, and a significant number of Navajo people suffer from respiratory and cardiovascular diseases as a direct result. The obvious hurdles, and what other manufacturers deemed impossible, was engineering a low cost stove that could burn both wood and sub-bitumious coal cleanly. In fact, there were no EPA certified coal stoves in 2016, and a coal testing standard had never been developed, these were a testament to the fact that it would be a challenging task. Everyone knows February is the month to celebrate love and here at Woodstock Soapstone Company love burns brightly every day in more ways than one! For over 40 years now Woodstock Soapstone has been passionate about the design and manufacturing of comforting and affordable wood heat. 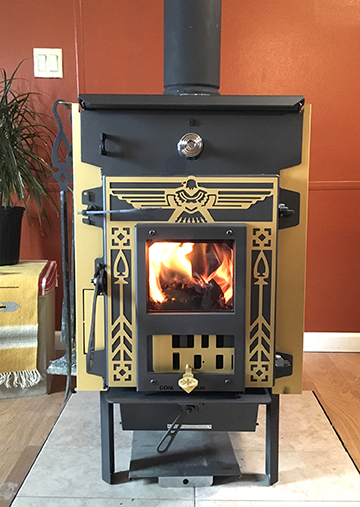 This month’s Ideal Steal is a celebration of that long burning love, for both the stoves as well as the lasting friendships we’ve made with our great customers.